Stress is a massive problem in the workplace, costing U.S. businesses $30 billion yearly in loss workdays alone. People see their jobs as creating stress, and employers need to do more to help. Current solutions are expensive, timeconsuming, ineffective and not measurable. Certain industries are so stress filled that the work environment has catapulted turnover to historical record levels. Further, daily distractions hinder career related focus and success. This lack of sustained focus and elevated stress stifles productivity, career advancement, and lowers profitability. Vital Neuro’s innovative science-based platform offers a solution to these issues through stress reduction as a service. A Mobile SaaS for enterprise customers where employers provide their team members with enjoyable, neuroscience-based stress reduction sessions built on real time monitoring of personal biosignals. The results... improved job satisfaction, higher productivity, lower employee turnover, and increased EBITDA. This advanced brain training paradigm is an innovative blend of neurofeedback, scientifically designed sound music, and other neuro modulation techniques, that are based on brain plasticity; the brain’s ability to change. 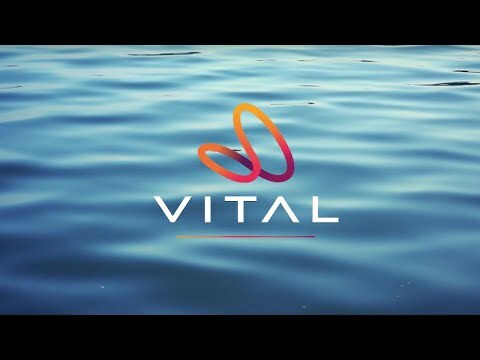 Vital Neuro’s groundbreaking solution is delivered through stylish, wireless, high fidelity headphones and an app that tie to Vital’s Leonardo smart cloud platform. Based on 50+ years of combined research, Vital Neuro’s technology delivers a customized solution by offering science-based features. By measuring the real time biosignals of the brain, a calming audio and/or audio & video experience is delivered in response to reduce the subscriber’s stress levels. Vital Neuro’s solution takes real time physiological data to assess and assign the precise audio and video content needed to deliver a quantifiable stress management solution to a growing subscriber base. While focusing our sales and distribution efforts on enterprises with a very large number of employees, Vital Neuro will reduce workplace stress by bringing employees back to a state of equilibrium, thus achieving balance within the workplace.